When hiring a Pensacola personal injury attorney you are starting a personal business relationship with a lawyer. This relationship sometimes will span years in length and you must be able to communicate with him or her directly. You must also be able to reach him/her when you have questions without unreasonable delay. Zarzaur Law does not take a “volume” of cases but selects those cases where the firm can take a substantial personal business interest in the client and the case. Many larger firms are in the “volume” business and are pushing clients through like a factory. That will never be the case at Zarzaur Law. Joe only handles those cases that have serious personal injuries and he turns away those cases that do not involve such injuries. This keeps the firm focused on a select quality of injury and death cases. Your case may be as valuable as the reputation of the personal injury lawyer handling your case. Many bigger law firms will get you into their firm by acting as if a senior lawyer in the firm will be handling your case. However, once you sign their contract you and your case are shuffled down to a lower level attorney who does not have substantial (or any) trial experience. This may affect the value of your case and may prevent your case from being prosecuted as aggressively as necessary. Interview your personal injury lawyer first. Ask them “How many million dollar plus verdicts they have achieved themselves for clients?” Ask them if they will be handling your cases alone or with others less senior lawyers? Ask them if they are Board Certified in Civil Trial law? If you do not like the answers, then move on to another lawyer. Ask them if they are AV rated by Martindale Hubell. Being AV rated is the highest rating provided by an independent source in our Country. So, is your lawyer AV rated and Board Certified in Civil Trial and do they have many jury verdicts over a million dollars? If so, hire them. If not, you might want to consider interviewing Mr. Joe Zarzaur. If you are paying the same FEE should you not get the most for your money? 3) IN THIS BUSINESS, THE JURY TRIAL EXPERIENCE OF YOUR PERSONAL INJURY ATTORNEY MATTERS. experience it will matter and affect the value of your case. If however, on the other hand, the lawyer handling your case does not have substantial jury trial experience with big verdicts, it will also affect your case. Many larger firms will attract you with senior lawyer’s credentials and then once you sign with them, your case will be handled by a lower level lawyer without experience with jury trial and verdicts. At Zarzaur Law, we only take quality cases that Joe Zarzaur can be the primary personal injury lawyer. 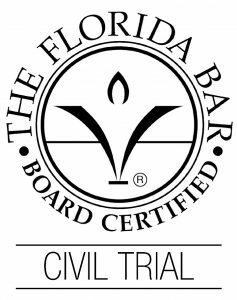 Mr. Zarzaur is a Board Certified Civil Trial Attorney and has record jury verdicts in both Escambia and Santa Rosa County in injury cases. He obtained a 9.3 million dollar verdict from an Escambia County jury and has a 2.5 million dollar verdict from a Santa Rosa County jury. These were both injury cases that did not involve death. Only about 1 Percent of Florida lawyers are Board Certified and there are only 13 lawyers between Pensacola and Panama City who have the same Board Certifications that Mr. Zarzaur has earned. Do not show up to a gun fight with a knife. Better to be a Big Fish in a smaller pond that a Little Fish in a big pond. 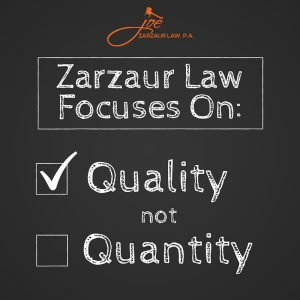 Zarzaur Law prides itself on the motto..quality cases over quantity. The firm turns away cases in which it feels the injuries do not justify the firm’s resources and time. The firm’s clients are treated like “VIP’s” and you will have Mr.Zarzaur’s personal cell phone and, more importantly, will feel comfortable calling him on it even after hours. He and his firm take special steps to ensure that all of their clients have easy access to Mr. Zarzaur and get special attention every step of the way. Joe his and staff are attentive, knowledgeable and trustworthy. I’ve worked with his office on many cases, all the way through trial, and am very impressed at their skill level in dealing with personal injury matters and their tenacity in representing their client’s interests. They simply don’t stop until their client gets what they need. This is an office where the Client comes first. I would highly recommend Joe. He is simply the "go to" lawyer in Pensacola for my personal injury referrals. Great office! Very helpful, and friendly with any questions through the process. Joe made US feel confident when working together. Jen was great to deal with when working with insurance. Betsy was great everytime we called. Jessica was on top of things with fairly rapid responses. Betsy again filled in where stepping up was needed. Over great experience, given circumstances. In my opinion, Joe is hands down the best personal injury attorney in Pensacola. As a local injury attorney in Alabama, I highly recommend Joe for the services he provides clients. When we have clients contact us in regards to accidents in Florida, we always tell them to call Joe. 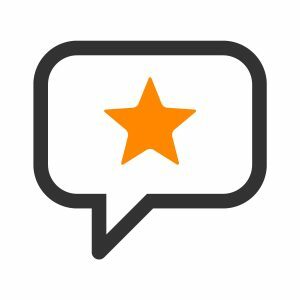 We have never had any complaints on clients who were extremely happy with the job Joe and his staff did. Great guy and great Trial Attorney. Mr. Zarzaur quickly responded to our request and provided excellent free legal consultation even though our case did not meet his criteria to represent us. My wife and I greatly appreciated the time he took explaining to us our options and giving us advice. We would definitely recommend hiring Mr. Zarzaur. My experience with the law firm was positive. Joe and his staff are fantastic! I like the fact that they are very responsive. They answer your questions and call you back in a reasonable amount of time. I highly recommend them! I have had the greatest experience with such a hardworking team of lawyers who cared about my, and my family's needs, throughout the process! I was rear ended, and Joe and his team lived up to their reputation. Not only did they get me a settlement, they even looked at every angle to determine if further assistance could be conferred. They finally helped ease my family's transition back into a more normal world after linking us to necessary treatment and services. At the end of it all, I concur that everyone at fault should really hate Joe Zarzaur!!! Everyone at Zarzaur Law was personable, as well as, professional. They kept on contact with me and kept me informed. They more than did a good job, they did an outstanding job. I highly recommend Zarzaur Law to everyone who needs a personal injury lawyer. Everyone was compassionate and knowledgeable. However, Daniel Sanders exceeded all expectations of an attorney. I would absolutely recommend Joe to anyone. My case seemed very iffy and I wasn't sure who to turn to for the results I deserved. But from the very first phone call with Joe, he pointed me in the right direction on where to start and what to do. What I needed to get together and he took it all from there. Without him, my car and the injurie that came from my crash, which was considered a "no fault at either end" would've yeilded absolutely no recovery. If I ever have issues in the future, I've already got his number saved. Thank you Joe and the wonderful staff who helped. Working with Zarzaur Law team has been a pleasure and a great privilege. Mr. Zarzaur is not only experienced and knowledgeable but he also handled every case with great commitment, wisdom and professionalism. I can't think of a better qualified and talented team, they have my deepest respect and admiration. It was exciting and motivating to be a part of this admirable company. A team that's always welcoming and willing to go the extra mile. After a long hard fought battle back and forth with the VA clinic and records to get the lein reduced and fought against we are getting close and close to to being complete with a fair decision on both parts. To the team at Zarzaur thanks for the understanding and tireless effort to go and continue to go the extra mile to be sure that fair settlements are reached. Thank you for your excellent support and administrative staff. Your office provided efficient, friendly and cooperative service at the initial contact and any follow-up needs encountered, explaining in detail what was expected of us to complete this transaction. My husband and I would highly recommend your firm to any of our friends or family members. Joe and his team were amazing to work with they do everything they can to help you through the challenges you are dealing with and fight for every penny your family deserves! IF you are in need a great team then look no further than Zarzaur Law! My wife and I are so glad we chose Zarzaur Law to help us through this difficult time. Joe and his team helped us to resolve this case even though there were challenging times. They are the best, thank you! After trying to settle medical expenses with the car insurance companies (mine and theirs) for a year I finally decided to talk to a lawyer. I asked my FB friends for suggestions and Joe was highly recommended repeatedly. His office is wonderful! I have never been in an accident and got overwhelmed with the process plus the time trying to manage it on my own. They took over and I was able to receive the medical care I needed. After surgery they were on top of all the medical claims and answered every annoying email I sent asking questions...lol. I appreciate everything his office has done for me. I will reccomend him to anyone in need of a lawyer. Glad we chose Zarzaur Law! They were real helpful throughout the entire process! Always availible and easy to reach and would always return my calls! Very professional service! Highly recommend Joe and his associates! The entire experience with Joe and his staff was very positive. They never gave up. I would use Zarzaur Law again and recommend them to others. When I came to Joe ZarZaur I was only 17, I am now 19 and through the whole process he guided me, helped me understand, and answered any questions I had. He was straightforward, he didn't hide anything from me and I completely trust him. Coming into this I was really nervous because this was the first time I had to do something like this, but he put not only mine, but my whole family's mind at ease. I enjoyed working with him and his whole team. I not only recommend coming to him, but I 100% know that if/when you do, you will not be disappointed by how he handles things. He genuinely wants to get to know you and your story and I am really thankful I had him as my lawyer. Joe and his team handled everything for me after my car accident. They handled everything from the insurance companies to my settlement for me while keeping me entirely in the loop along the way. My only focus after my accident was to take care of my self and my health, Joe took care of the rest! It was pleasure working with Zaurzar law firm. They were welcoming and did all the my could for my case. I recommend them to everyone. I came to Zarzaur Law about two years ago and they have been incredibly helpful. I've never really dealt with a type of situation like this before and they were great in helping me understand everything. They have been on top of my case every step of the way. Working with them has been an amazing experience. Great staff, amazing representation. Would definitely recommend. Made the legal process as painless as possible. Thank you very much Joe and Zarzaur team! Had such a great experience with Joe Zarzaur and his team. Considering the circumstances it was a very pleasant firm. I can be a little TOO persistent and wanting to know every detail of everything but his staff never showed frustration and they were super sincere. Everyone there is very helpful and Joe is quite the professional. Never once did i feel like a number...i always felt like they cared. I will always remember how thoughtful and understanding they were. If you EVER need an attorney definitely dont look any further. This is your guy you will NOT be disappointed!!! Im going to miss this team of professionals for sure!!! From start to finish the process was seamless. Every correspondence was very informative and professional. Appreciate all the help!! Joe Zarzaur and his team at Zarzaur Law were incredible. From our first meeting to the final settlement they were professional, dedicated and honest. Joe persevered in getting my settlement. I couldn't be happier with the results. I highly recommend Joe and his firm. Joe Zarzaur Law is an amazing law firm that will work their hardest to get you everything you deserve. They work diligently and as quickly as possible to help you with all your needs! I would recommend this Law firm to anyone who needs a dedicated hardworking lawyer and team for an injury case! They are amazing! The team at Zarzaur law took a horrible situation and made it a little better. They worked diligently to provide the best service available. 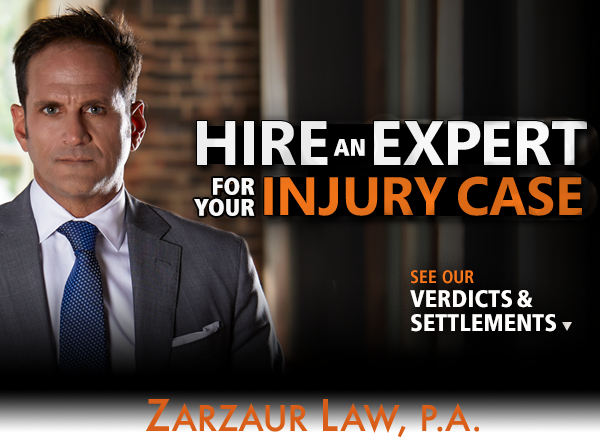 You hope you never need a personal injury firm, but if you do Zarzaur Law P.A. is a team you can count on.